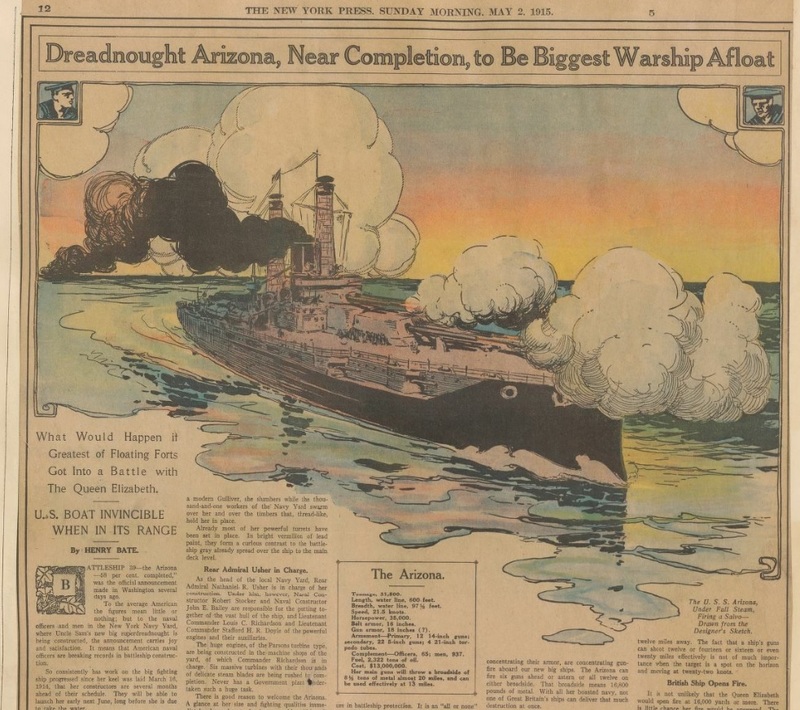 Yes, it was in all the newspapers of the time – The Great War, the war to end all wars. 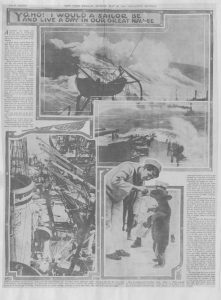 Now through the Library of Congress, they have coverage from newspapers from the beginning to well past the post-war efforts. It begins with June 29, 1914, with articles focusing on the assassination of Archduke Franz Ferdinand of Austria and continues into the post-war world through December 31, 1926. From a 400 volume set, there are articles that cover far beyond the news reports of those times and contain war-related editorials, features, cartoons, photos, maps, and more. 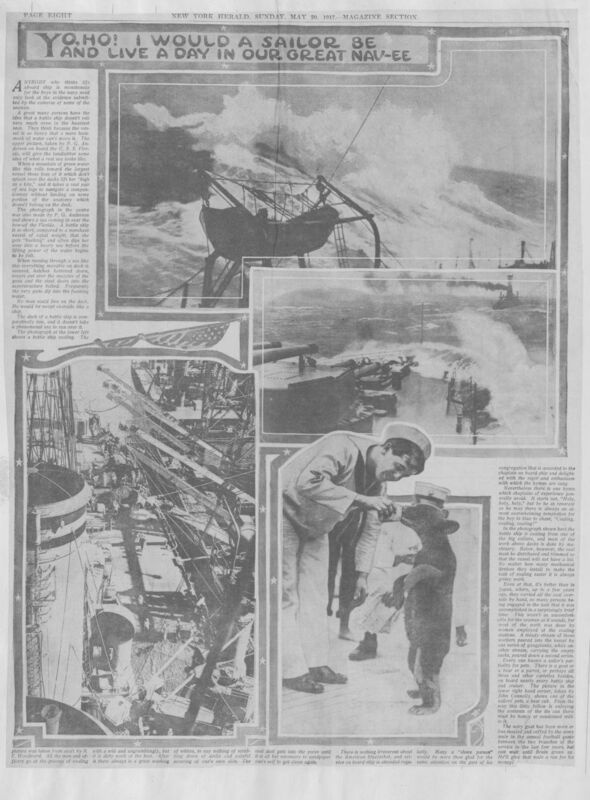 Front pages and full-page features of New York City newspapers are frequently presented, while many newspapers from around the country and some foreign ones are represented through clipped individual articles and cartoons. Such a treasure. The pages of this large volume set have been conserved and made digital for preservation. The US Library of Congress now has those pages online to anyone to use freely. Each newspaper title and name is given and each page, just like you were turning those very pages over 100 years ago. You can copy any pages and save to your computer. Even select just a section, clip it and save that portion. Notice the tools in the upper right to assist to also enlarge an image. In the upper corner, where it states ‘This collection‘ you can do a search for a keyword, a name or location. Not just for the historical information from newspapers of the times but you might locate information on a family hometown, an ancestor, or a military regiment a family member belonged to. 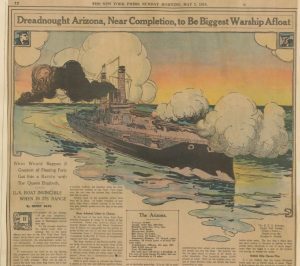 Photos: Arizona Ship – New York, April 26, 1915; US Sailor in May 1917and President Wilson declares war April 1917.